To continue the tradition of our brand of care and commitment to our mothers, Thomson Confinement Food home delivery service provides food and nutrition to recuperating mothers after childbirth directly to their homes. 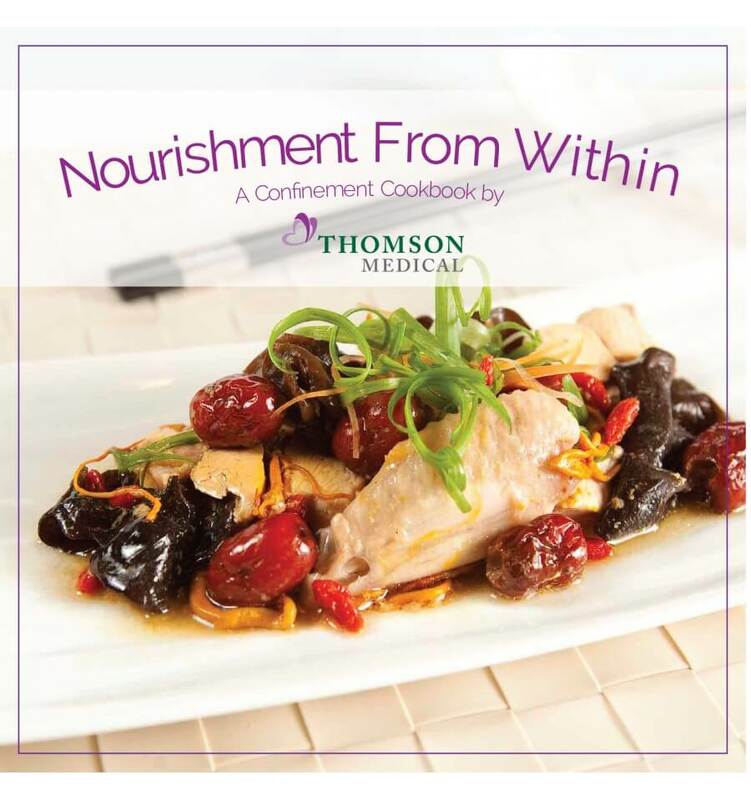 Backed by Thomson Medical’s in-house team of experts in nutrition and fortified with the rich influence of Traditional Chinese Medicine, our confinement food recipes are thoughtfully crafted to aid mothers in their journey to recovery during their confinement. Infused with fresh, carefully selected ingredients and herbs, the menu serves up a modern blend of east meets west, whilst retaining rich traditional tastes of confinement favourites. From flavourful Fish and Papaya Soup, to timeless Braised Pig’s Trotters with Black Vinegar and Homemade Chicken Essence with Wine; our gastronomic spread is low in salt and fat – packing a robust flavour, bursting with natural goodness and great nutritional value. Contained in thermal carriers, your food will be warm when it reaches your doorstep – locking in the flavours and at the same time, maintaining freshness. Pamper yourself with the convenience of having home-style comfort food served to your doorstep during your confinement! Come join our monthly confinement food tasting session on Saturday morning and find out more about our trending products that has caught the attention of mothers alike. 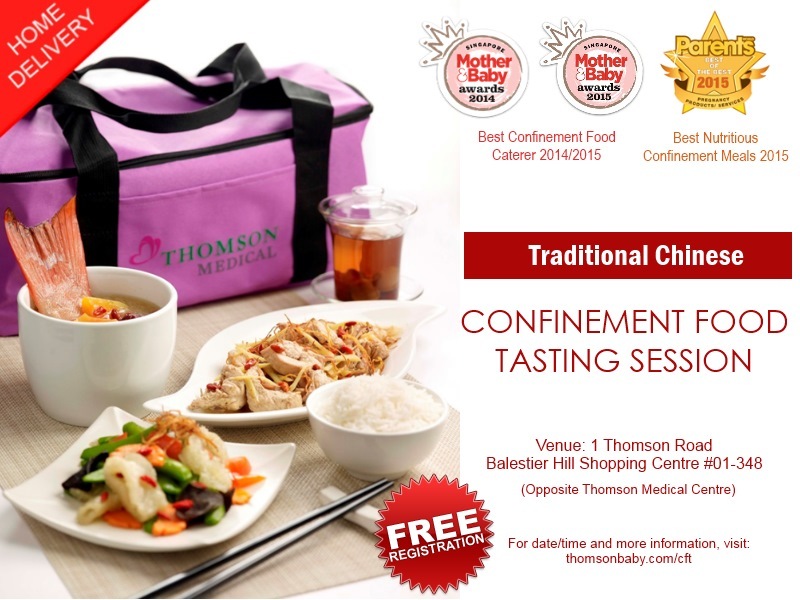 Our Physician from Thomson Chinese Medicine will be sharing with you traditional confinement care. Find out what post-natal massage could help you to rejuvenate. Talk to our Thomson Baby Planner Specialists on what and how to prepare for your baby care needs. Specially crafted with our nutrition experts and Celebrity Chef Eric Teo, the recipes featured in the this book is beneficial for new mothers serving their confinement, whilst they enjoy caring for their new born. These recipes are infused with aged-old traditional Chinese herbs, yet presents a modern blend with easy-to-follow preparation methods.